Well, anybody could have called this one. 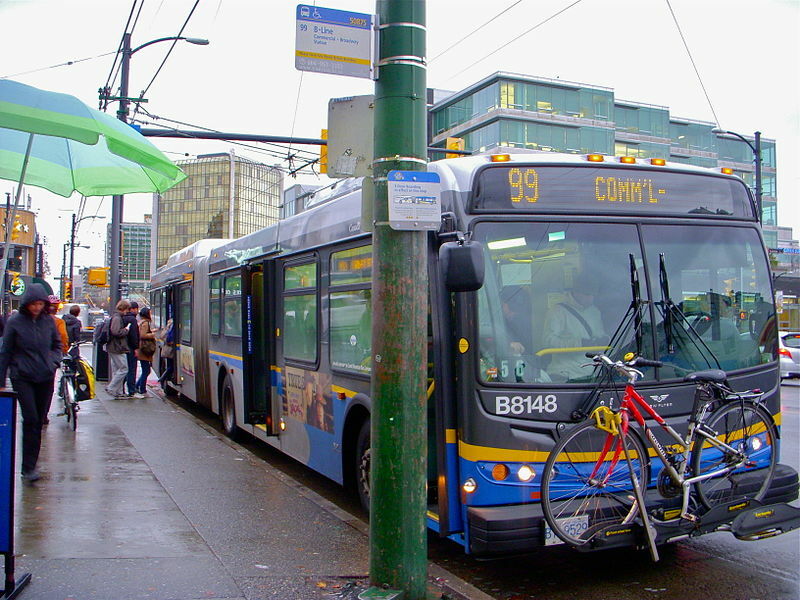 According to a new survey by Insights West, 53 per cent of residents plan to vote No in the upcoming 2015 Metro Vancouver Transportation and Transit Plebiscite. Only 38 per cent say they will vote Yes to the proposed half-percentage-point sales tax increase to help fund more buses, new rapid transit lines, improved walking and cycling networks, road and bridge upgrades, and more. The once mighty Yes campaign’s decline is a regrettable development, but no one can honestly claim to be surprised. Though referendums can be useful exercises, they are out of place on matters such as public transit where the impacts of present-day decisions are borne in large part by future generations. Voters risk falling victim to the myopic lullabies of anti-tax zealots and their assorted useful idiots. Provincial and municipal representatives would have done well simply to sit down together and hammer out a fair cost-sharing arrangement. But it’s too late for that now. For better or for worse, the provincial Liberals made a cheap pledge during an election which everyone expected them to lose, and we’re stuck with this plebiscite as a result. Mail-in ballots are on their way next month. It is therefore crucial, for reasons of social and environmental justice, that we do all we can to beat the odds and secure a win for the Yes side. So why, one might ask, is the delightfully named “Metro Vancouver Congestion Improvement Tax” proving so unpopular? Apart from the reflexive mantra of “we hate taxes,” two primary reasons come to the fore. The first is the reputed wastefulness and unaccountability of TransLink, Metro Vancouver’s regional transportation authority. It is true that the organization suffers a democratic deficit, a convoluted governance structure, and bewildering levels of executive compensation. Moreover, the roll-out of the new Compass fare card system has been disastrous, and recent high-profile service shutdowns on the SkyTrain have not made matters any easier. It is a mystery, however, why anyone would believe that voting No could solve these problems. High-level decision-makers and bureaucrats are not “punished” when denied the ability to implement sensible policies. They are neither fired nor forced to take pay cuts. On the contrary, the only effect is to punish the general public by worsening our transit system’s dysfunctionality in a time of rapid population growth. The poor in particular would suffer through this act of sabotage to one of the cheapest means of getting around. All this in addition to further increases in air pollution, greenhouse gas emissions, and traffic congestion. It is also worth noting that while any waste is indefensible — public bodies must always strive to improve their efficiency — the items commonly cited as examples of TransLink’s storied wastefulness add up to a mere fraction of one per cent of its annual expenditures. In other words, the vast majority of the organization’s budget goes to the vital public services we rely upon it to provide. So let’s keep matters in perspective, shall we? Are sales taxes the problem? A second concern for some segments of the No team is the kind of taxation being considered. Sales taxes, they argue, are regressive, in that they disproportionately impact people with low incomes. If we are to expand public transit services, we should try to do so by means of more progressive alternatives. So far so good. Indeed, the options are limitless if we allow our imaginations to run wild. In place of a regional sales tax, perhaps transfers from higher levels of government, which are already anticipated to defray the bulk of the costs, could cover every last dime of transit funding. Personal and corporate income taxes could be raised. So too could the provincial carbon tax, for although it is just as regressive as a sales tax (all else being equal), it at least adheres to the polluter pays principle. The problem is that not one of these idyllic alternatives is on the table, nor will they magically become so if residents vote No. We are not faced with a choice between several different mechanisms by which to pay for needed transit investments; we are faced with a choice between making those investments and not making them. A sales tax boost may not be perfect, but as far as tax hikes go, 0.5 per cent is fairly small — amounting to an average of 35 cents per household per day, according to the Yes campaign (or about twice that by the No side’s reckoning). And unlike other sales tax proposals, such as our dearly departed HST, this one is earmarked almost entirely towards public transit, an indisputably progressive cause which benefits people with low incomes and helps to prevent climate destruction. So what exactly is the problem, Metro Vancouver? Will we succumb, as suggested by the latest poll, to the cynical panderings of “starve the beast” fanatics? Or will we defy the prognosticators and rise to the occasion? This blogger is not optimistic, but he hopes to be proven wrong.